Thought I would share my grandma’s pickings from the garden. Proof that TLC and California weather go a long way. 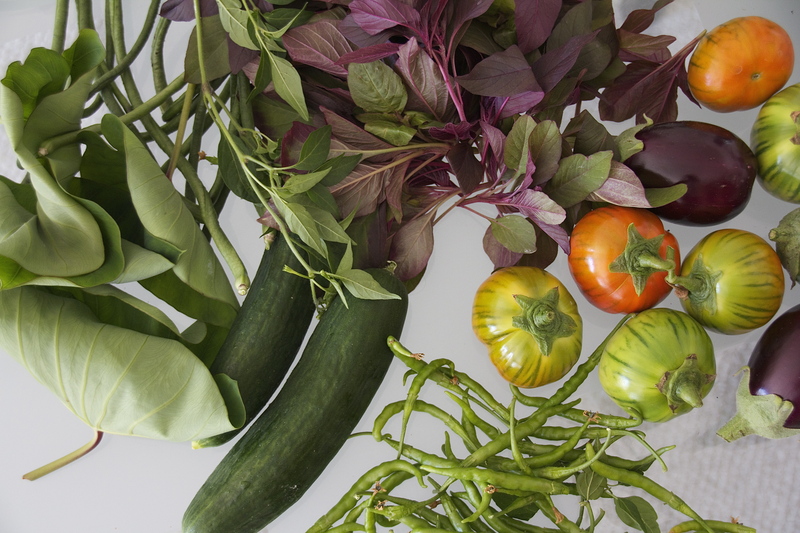 Featuring: green chilies, cucumbers, long beans, red spinach, and a colorful assortment of eggplants.